Water supplies can be a major issue. Although Asulox concentrate is classed as an irritant and toxic to aquatic organisms, the diluted spray solution presents little or no danger to most animal life. 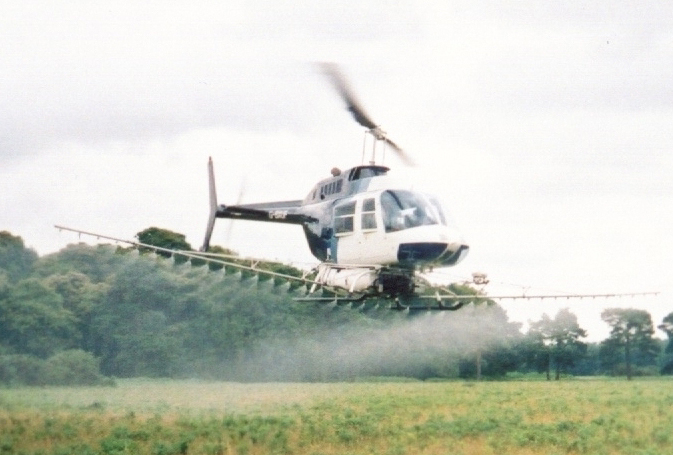 Nevertheless, Asulox must be sprayed in accordance with all statutory controls and as EU law states that it is an offence for a water company to supply drinking water with a pesticide level which exceeds 1 part in 10 billion, Area Water Authorities/Companies need to be consulted if the Bracken Target Area lies within or adjacent to any Water Company’s water catchment area. In the case of proposed large scale bracken programmes (particularly those orchestrated by County Councils/Unitary Authorities/Conservation agencies and and any others funded by public money), the issue of water supplies needs to be addressed as one of the very first stages of the planning process (and before too much money or effort has been expended in setting the project up). Team Leaders and Project Managers of bracken control programmes need to be aware that Water Authorities (understandably) have the power to veto such good works should they feel that their water supplies might be compromised, and they should therefore be consulted at that early stage. (Although most accept that drift is not now such an issue, their other worry is that chemical “run off” might occur after spraying, therefore a qualified hydrologist’s opinion should also be sought in such cases.) Private water users should also be consulted under the same circumstances. 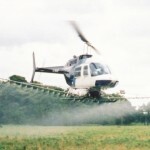 The above will of course be relevant to private landowners/managers/farmers as well – regardless of whether the spraying is carried out by ground or air! Failure to address this issue in good time has caused many a worthy bracken control programme to founder! Although the presence of water is one of the first aspects that the aerial operator looks at, by the time we receive the order and the attendant maps, the planning of the programme is well advanced and the client will have expended much time and effort. CLIENT BEWARE!